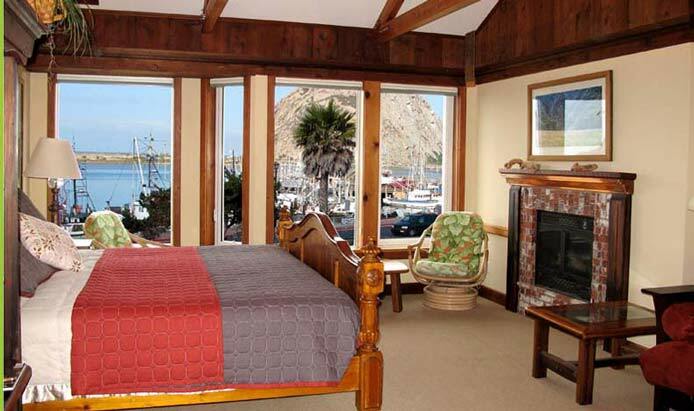 The Front Street Inn & Spa is a Morro Bay hotel that is located on the waterfront. Rooms are very large and comfortable with a cool hint of nautical decor. It’s a very special place. 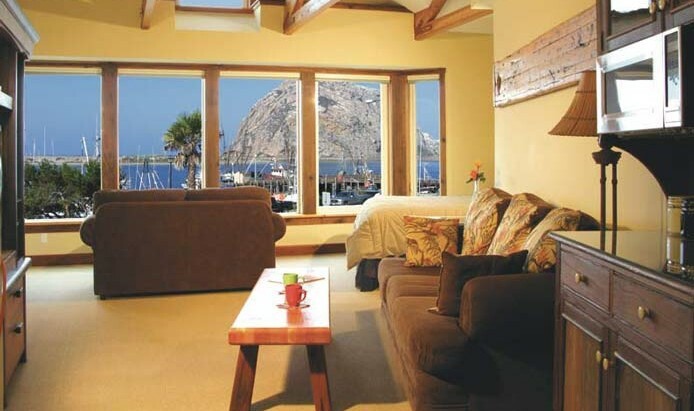 There are large pane wall to wall windows with incredible unobstructed views of the bay and fishing fleet just across the street and Morro Rock. The view is out of this world! The windows can be opened allowing the ocean breeze into the room as you watch the activity outside. Be sure to arrive in time for sunsets. The location gives you immediate access to the embarcadero with all of its shops and restaurants. Both rooms are located on the second floor above La Parisienne French bakery and feature King beds, window seating, fireplace, shower and deep soaking tubs, coffee maker, refrigerator, microwave, cable T.V. Free WIFI. Big Sur: Has elevator access and full lobby access. Hideaway: Has its own stairway street entrance, and jetted tub.